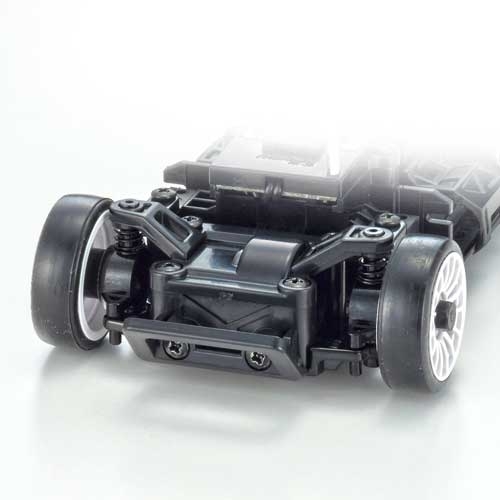 Simply load 4 x AAA-size batteries to experience true radio control car performance with exquisitely designed models that can rest on the palm of your hand.  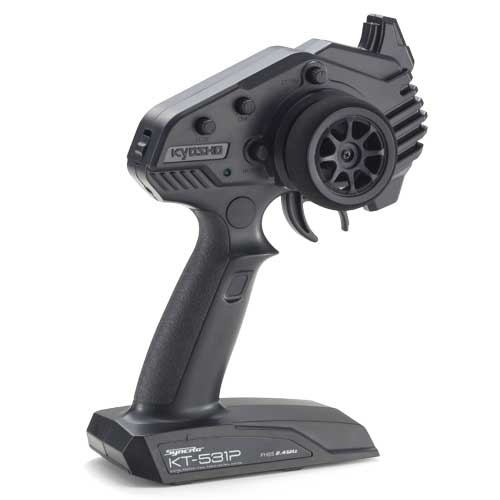 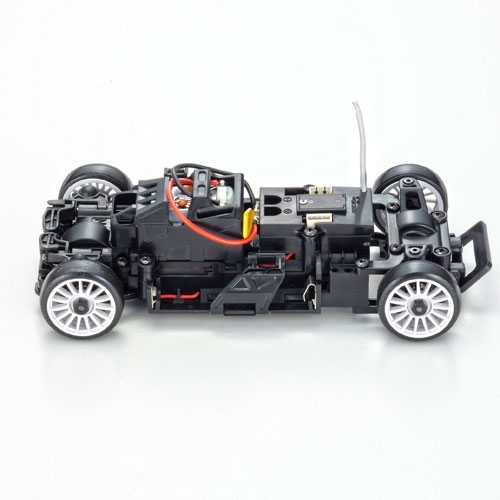 The immaculate scale body design and high-performance chassis combination is the embodiment of Kyosho’s design expertise from 50 years of building world championship winning radio control machines. 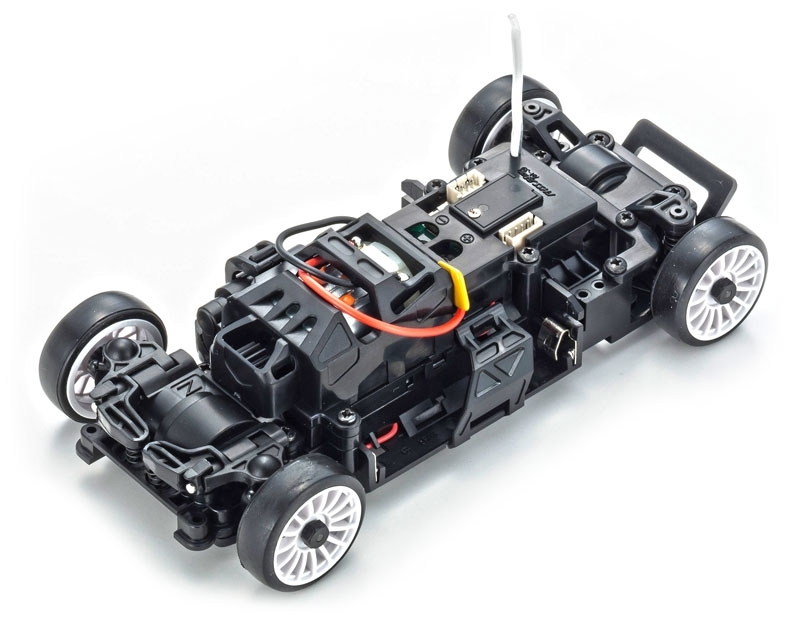 From its debut in 1999, the MINI-Z has continually evolved as the benchmark for small size radio control model cars. 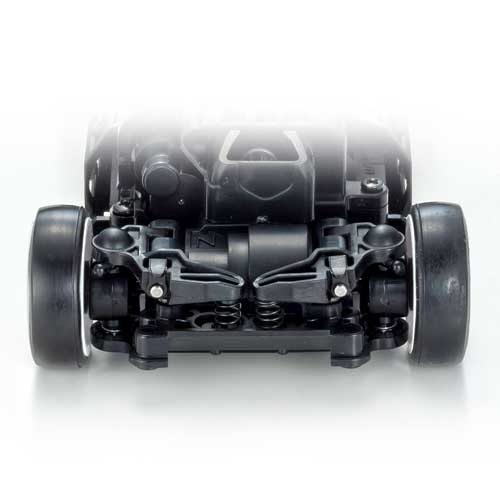 This FWD series represents the latest front wheel drive MINI-Z chassis design. 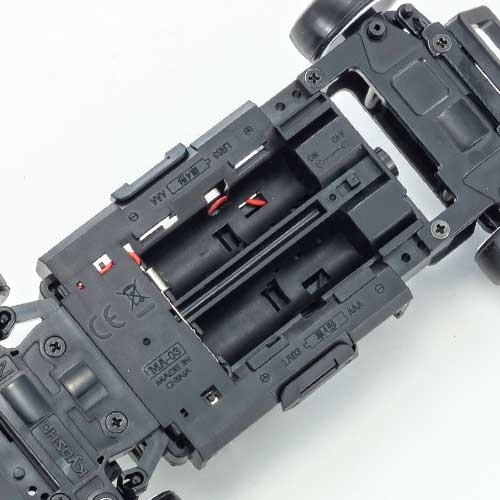 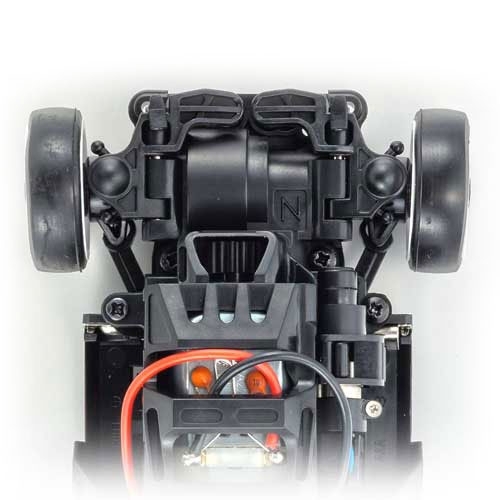 The front midship mount of the motor reduces load on the front section and delivers plenty of power for running stability and is less likely to spin out than the RWD version.